Looking for free things to do in Busan? Or are you planning for an all-day exploration around the city? 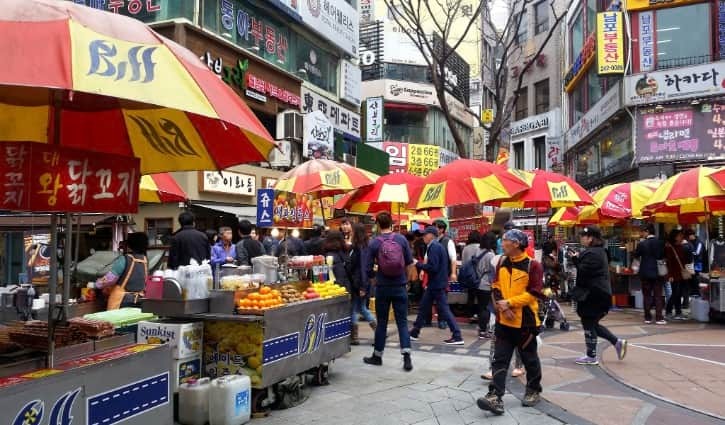 When traveling to a new city, it is best to visit more than one attraction in a single location and that is simply the case when you visit BIFF Square, Gukje Market and Nampodong Street. 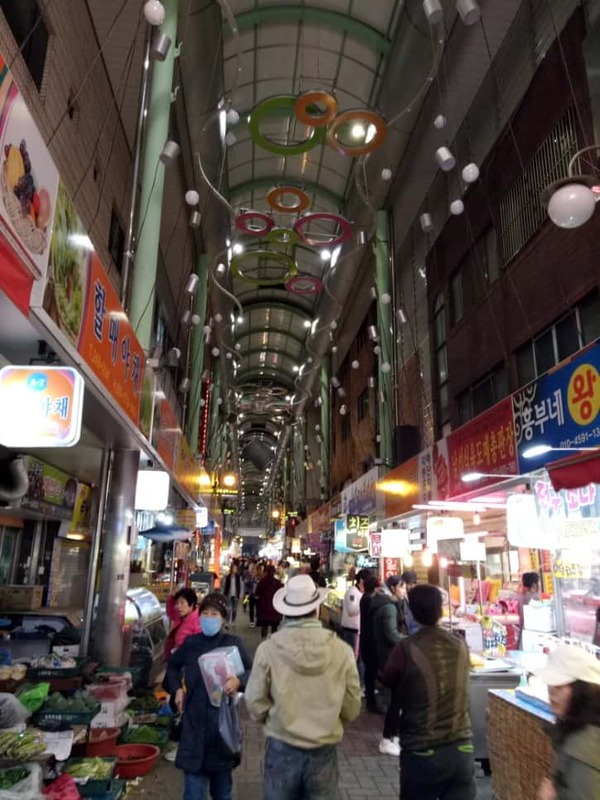 If you love to venture the outdoors of Busan and immerse yourself to local and modern culture of Busan, head to this area filled with shopping alleys and food stands. What can you see and do in BIFF Square? What can you do at Gukje Market? What can you do at Nampodong Street? How can you get to BIFF Square, Gukje Market and Nampodong Street by subway and taxi? 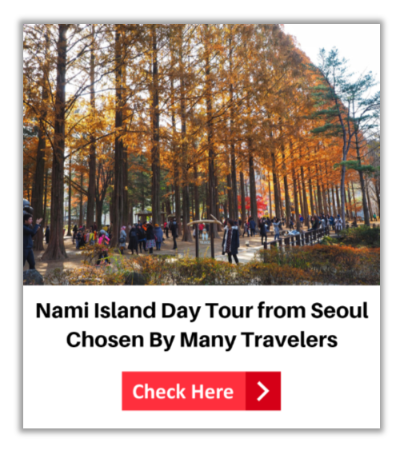 Why should you include BIFF Square, Gukje Market, and Nampodong Street in your things to do in Busan list? 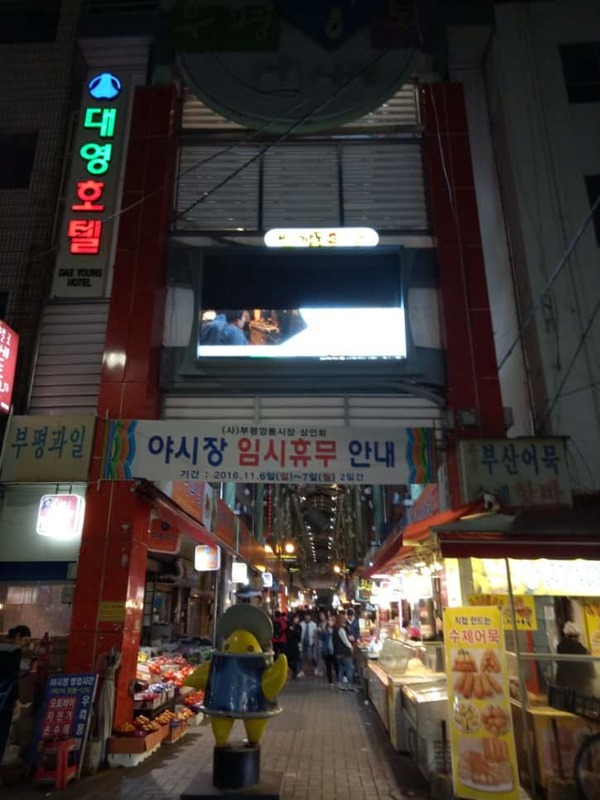 What are the things to do in Nampodong Street? Those who love checking out happenings in downtown areas in every city they visit, you will enjoy Nampodong, one of Busan’s downtown areas. 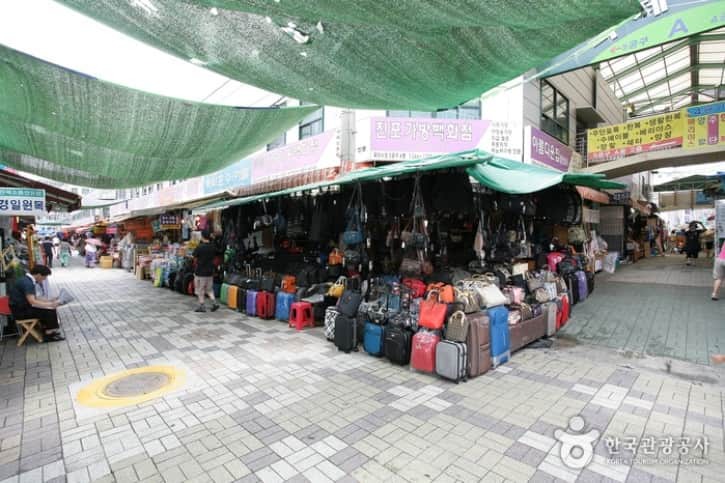 Nampodong is famous as an access area to many of Busan’s top urban destinations namely BIFF Square and Gukje Market. 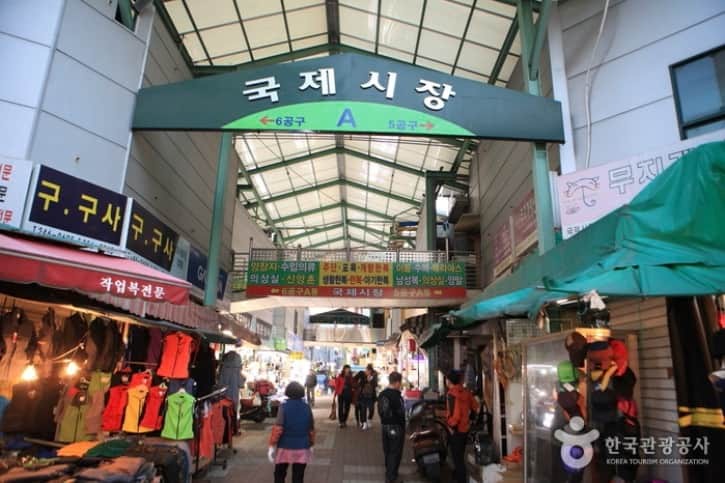 Aside from Gukje Market, Nampodong is home to the famous Nampodong Underground Shopping Center. If you opt to go to the street market, make sure you wear stretchable clothing to make way for room for more bites! Nampodong is a lovely place to explore where many sights and landmarks are walking distance from each other, hence travelers can save money from their transportation costs. Along the way, travelers can spot and find shops as well as restaurants and cafe. 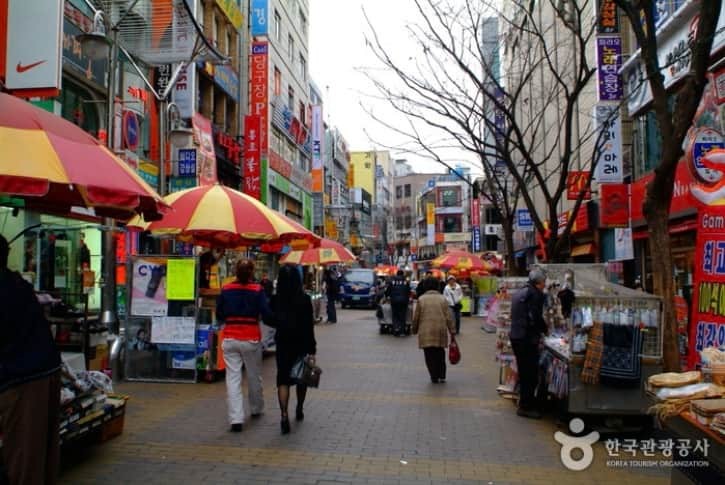 What are the things to do in Gukje Market? 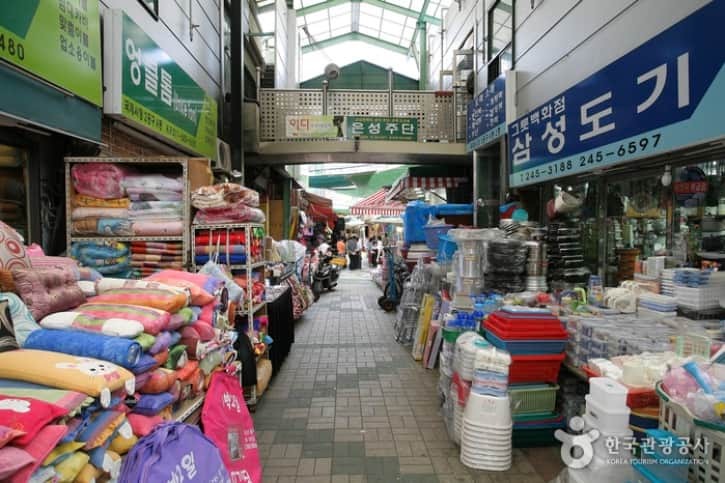 Nampodong leads to Gukje Market, one of the most popular markets in the city of Busan. 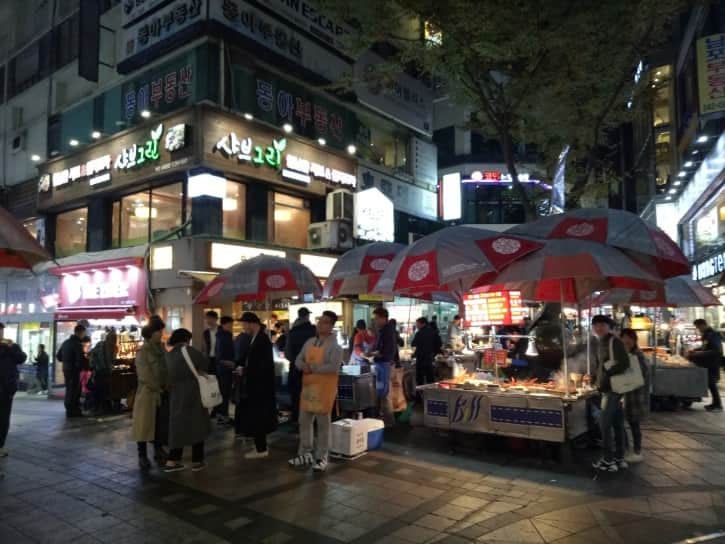 It is also known as Nampodong International Market, with the word, “gukje” which means, “ international”. Gukje Market is not just a place for trading goods and shopping, but it also has a cultural and historical significance. War refugees first established this very market during the Korean War. When they arrived in Busan (which was unaffected by the war), they put up stalls and started selling as their means of livelihood. Soon, the market grew to what it is today. Gukje Market is huge in terms of size as well as in terms of variation. It seems everything is sold here from combs to appliances. The good news, the market is organized with products being sold arranged in zones. What can you buy at Gukje Market? Basically, almost anything. Some stores do accept credit cards, giving more reasons for travelers to shop! And that makes Gukje one of the most enjoyable open-air and outdoor markets in Korea. Gukje Market is not just for shopping. 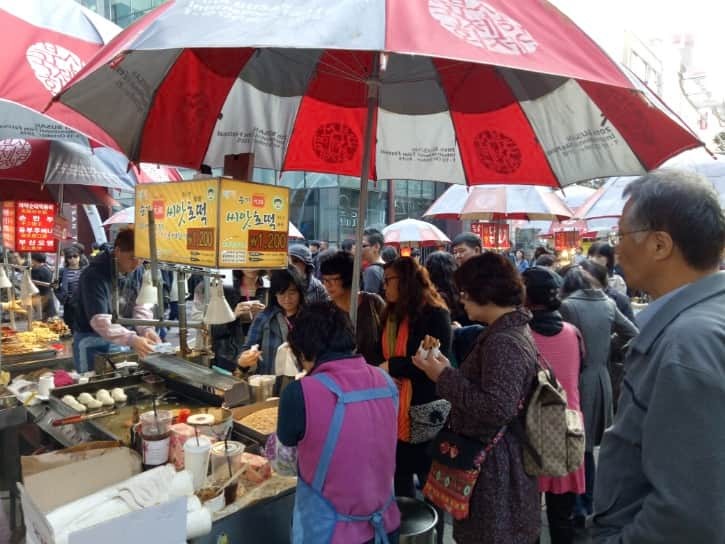 Just like most areas in South Korea, it is another food stop with plenty of street food tempting visitors. From bite-sized nibbles to warm soup, Gukje will leave you full. After all, the best way to end a good shopping spree is with a great meal. Likewise, if you are in Gukje for some sightseeing, it is best paired with tasty food. What are the things to do in BIFF Square? BIFF Square stands for Busan International Film Festival Square, a movie district in Busan and used to be home to the fame film festival before it was transferred to Busan Cinema Center. 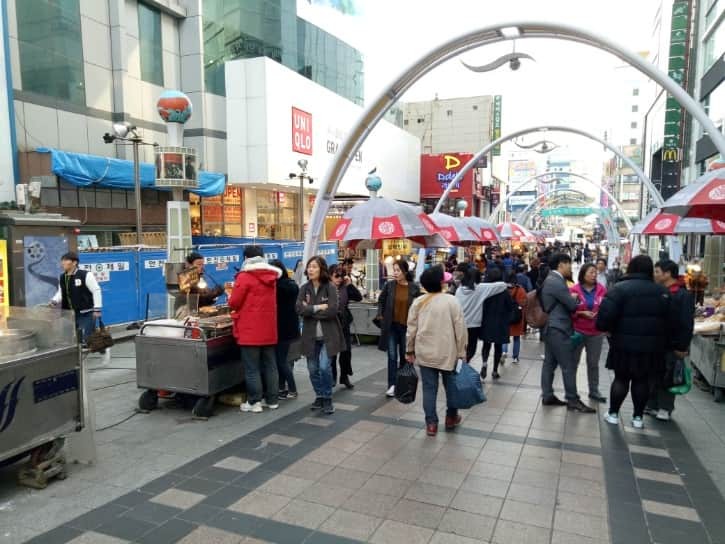 The street spans 428 meters with cinemas and theaters along with restaurants and shops, making BIFF Square one of South Korea’s top cultural tourist attractions. You don’t have to go on a movie binge to appreciate BIFF Square, it ‘s a venue for people watching and enjoying local city life in the country. Every year to culminate the festival season, stars have their hands printed similar to Hollywood. Even without a crowd, it is easy to spot BIFF Square’s Star Street because it is bronzed. K-drama has catapulted the Asian market and it now extends to movies. Watch a film or two if you have ample time. If not, check out these theaters and see film posters advertising movies. You know you’re nearby when you see the archway, one of the main landmarks of BIFF. Of course, it is one of the most popular photo opportunities of BIFF Square. It may be essentially a movie district, but BIFF Square is another haven for street food lovers. Spot those stalls along the alley with different kinds of street food. 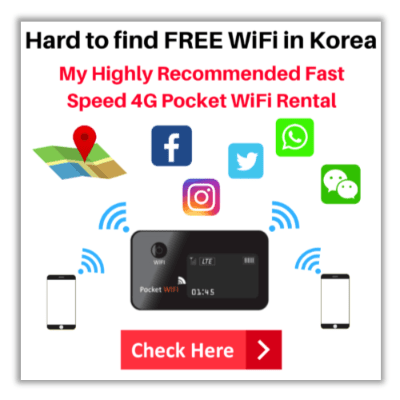 Want to know my highly suggested places to stay in Busan? The BIFF Square will be ahead of you. 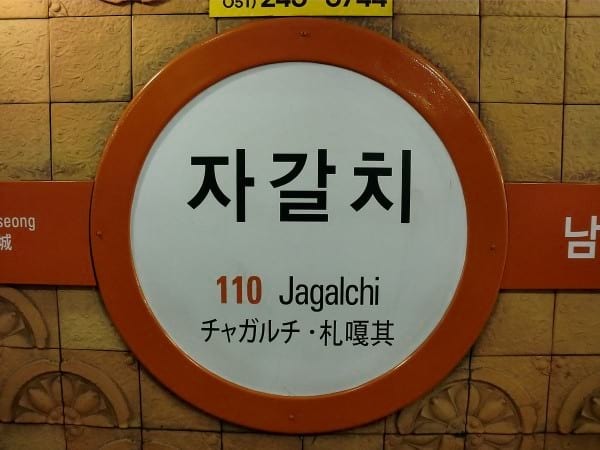 As popular tourist attractions signs can be found near and around Jalgachi Station to help you located these places. The best part is they are just walking distances from each other. 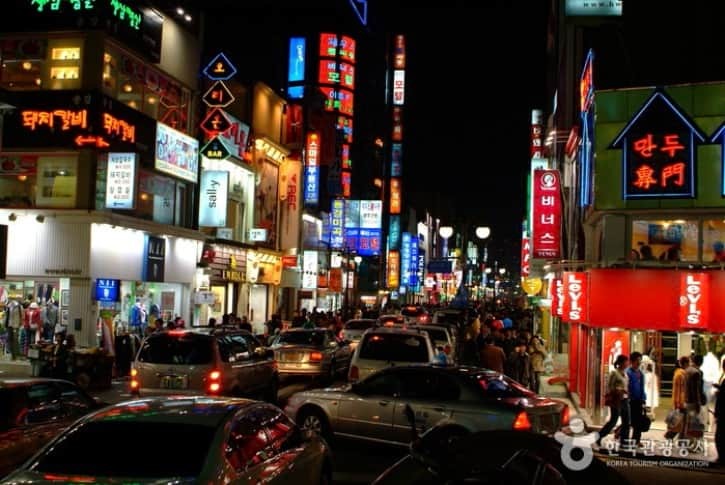 How to go to BIFF Square from Gamcheon Village? What’s the method to BIFF Square from Busan Station? 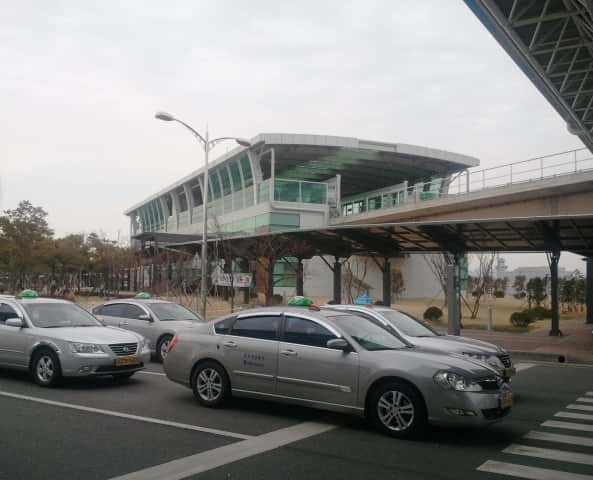 Taking a taxi in Busan is very convenient. If you are worried about language barriers problem, you can prepare the photos of BIFF square and then show it to the taxi driver when you want to go there. You can spend a day in one location, lessening the chance of getting lost. They are free to visit. Great for budget travelers! 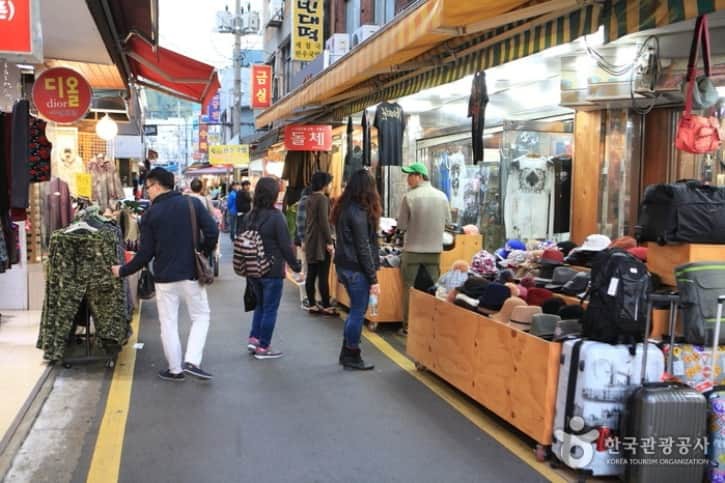 Would you like to know 2 popular places to stay in Busan that convenient for shopping, eating and near to attractions? 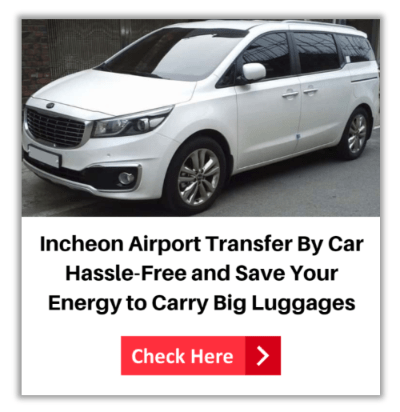 You can check the guide to stay in Busan here. The owner of Prepare Travel Plans blog. Thanks for reading my post. I started travelling overseas for holidays since 2012 after graduated my degree holder in United Kingdom. I always go to vocation with my loved ones and also with my brother and his wife. We are twin and often go to holiday together. 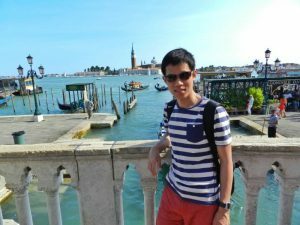 I hope that my sharing tips and guide in here able to inspire and help you for vocation. I’m the founder of Prepare Travel Plans blog. I love to travel independently and explore new destinations. So, here is the place for me to share my personal travel experiences, knowledge and tips with you all. Let’s start to explore the amazing and beautiful places of South Korea and Singapore!